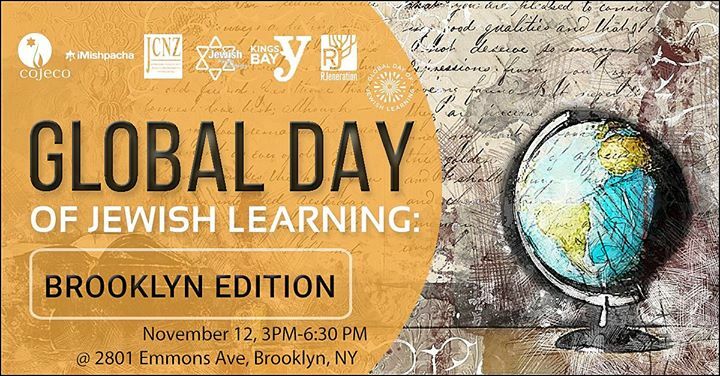 The Global Day of Jewish Learning unites Jewish communities across the world through study of our shared texts. We invite you to join the Russian-speaking Jewish community for a unique Jewish learning experience for the whole family and learn together at the same time as hundreds of diverse communities across the continents. A collaborative initiative of COJECO, iMishpacha, JCNZ, Jewish Parent Academy, KingsBay Y and RJeneration.